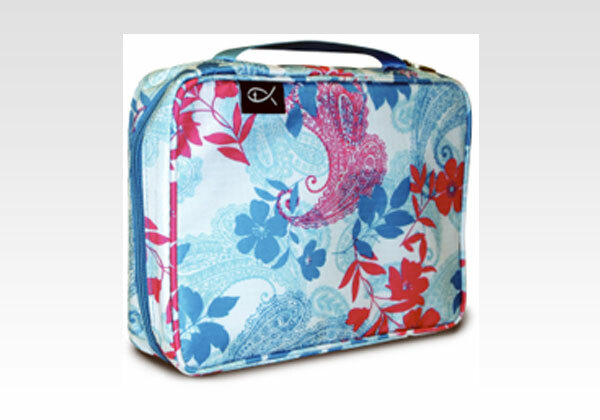 Trendy nylon Bible cover with leaves and paisley design in pink and blue. Embroidered ichthus tag; custom zipper pull; piped edges for added structure. Extra-large size; 7.25" x 10.25" x 2.25".